How important is it to understand the natural history of disease before embarking on drug development? Annette Stemhagen of United BioSource Corporation discusses. Having an in-depth understanding of the disease or condition for which a drug or biologic is being developed seems fundamental, yet sponsors do not always fully understand disease natural history prior to or during drug development. In the overall scheme of product development, gaining this knowledge is a small investment that can pay large dividends. Information can be compiled from a literature review or by conducting a study using a large automated database, a cross-sectional survey, a retrospective chart review, or an ad hoc prospective longitudinal cohort or registry. Some sponsors have considered the placebo groups of randomized clinical trials as one source of natural history data. Selection of the best design (or designs – in some instances, a portfolio of studies may provide the best insight) depends on several factors. Literature reviews are only feasible if historic cohorts exist. Often, however, if using the literature to estimate disease incidence or prevalence, estimates can vary widely depending on the methods used to collect the data, and the literature may lack sufficient detail to understand the reasons for the variation. If there are conflicting studies that show the frequency of a condition varying from 0.1% to 25% in the same population, then decisions on market size cannot reliably be made. Cross-sectional surveys can be used to estimate the prevalence of a condition. If the surveys are assembled to cover a heterogeneous, broad population, with patients at various levels of severity and at various time points in the spectrum of their disease, then some profile of disease characteristics and changes over time might be constructed. A carefully selected sample of medical charts may provide valuable insights into natural history, as long as the information needed to understand the risk factors, historic and current treatments, and disease severity has been reliably documented in a similar fashion in medical charts across multiple practices in varied settings. Similar caveats apply to natural history studies conducted using electronic health records or medical claims databases. Prospective cohort studies or registries, while more costly than studies of existing data, can be the most efficient and effective design for capturing a sufficient level of detail to inform decision making. Regardless of the design, the information on disease natural history serves many purposes. In the early stages of drug development, as indications for use are being evaluated for study, an understanding of disease incidence or prevalence is important in estimating the potential market size for the product. This can assist in prioritizing the indications for development. Designation of an orphan condition depends on estimating the prevalence of a disease. Similarly, if it is determined that available treatments are limited, characterization of an unmet medical need can also help direct the development process. Understanding the disease for which a compound is being developed provides a great deal of important information that can be applied to effectively design the clinical development program. What safety risks are expected by virtue of the disease being treated? Does the disease itself put the patient at risk of liver toxicity? Or cardiac events? If so, then it is critical that such events be accurately captured during the clinical trials in a standardized way, for both the active therapy arm and the placebo group, so that the risk due to the disease (which should be evident in the placebo group) can be understood in the context of the new therapy under study. Something as fundamental as design of case report forms can benefit from this information. A similar philosophy should be adopted early in drug development in regard to adverse effects of the disease itself. The background morbidity or mortality due to the underlying condition must be factored into sample size calculations for the clinical trial program. In order to evaluate a drug with an adverse event profile that may add to the background rate of specified adverse events, the clinical trial must be designed to have sufficient power to detect pre-specified increases over the background rates related to the disease itself. How do you know that your clinical trial population represents the general population of patients with the disease without having an understanding of the patient profile? Are there demographic subsets of the intended population who may be at greatest risk? If so, how should these patients be included in the clinical trial program? Relying on clinical research sites only can distort the profile, making the clinical trial results less than optimally generalizable to the population to be treated in clinical practice after product approval. An added benefit from structuring the clinical trial to be more representative of the presumed population who will be treated with the marketed product is that a more generalizable clinical trial population might allow the product to be labeled for broader use. A careful evaluation of patient profiles and current treatments for the disease can anticipate interactions of concerns. What are the likely concomitant conditions that occur in patients with the disease? How are these conditions treated? This can alert researchers of possible drug-drug interactions that should be proactively assessed, which is important not only for concomitant biopharmaceutical therapies, but also herbal products and dietary supplements. Understanding the progression of disease can identify critical milestones where the new therapy can have the most impact. Not only is this important from an efficacy standpoint, but also in relation to other outcome measures which may differentiate the new therapy, such as the quality of life. Understanding the variability of the patient population is important in directing the types of patients who should be recruited for the clinical development program. While the inclusion and exclusion criteria of patients in the clinical trial must be restricted in some ways for practicality and efficiency, it is important to understand which segments of the patient population are represented in the clinical program and which have been intentionally or inadvertently excluded. This information can be derived from the natural history study. The product’s effectiveness and safety in the unstudied segments is a deficiency that should be remedied after product approval with enrollment of a heterogeneous patient population into the natural history study. An effective approach is to institute a disease registry during the drug development period to gather natural history data, and then to extend the registry after product approval to understand how the new product fits into the current treatment regimens. Switching patterns can be assessed, characteristics of patients initiated on therapy can be examined, and the safety profile of the new product under actual use conditions can be documented and compared with the data from patients with the same disease who have been treated with other therapies, or not treated at all. Developing an exposure cohort within the natural history study extends the value of the initial study throughout the product’s lifecycle. Annette Stemhagen, DrPH, FISPE is the Senior Vice President, Safety, Epidemiology, Registries & Risk Management, at United BioSource Corporation (UBC). Annette Stemhagen, DrPH, FISPE, provides strategic consultative services to pharmaceutical and biotechnology clients in epidemiology, safety surveillance, and risk management. In addition, she assists other UBC groups in developing and implementing creative and innovative study design solutions to meet client needs. Dr. Stemhagen has more than 25 years of public health epidemiological research experience, and 15 years in safety surveillance of pharmaceutical, biotech, and vaccine products. Her specific expertise is in the design, implementation, and analysis of epidemiologic studies, registries, large streamlined safety studies, and actual use and observational studies for products in Phase IIIb and postapproval. Further, Dr. Stemhagen has designed and evaluated risk assessment studies, including more than ten regulatory-mandated long-term safety studies. She has also developed risk intervention programs, risk management evaluation studies, and Risk MAPS. 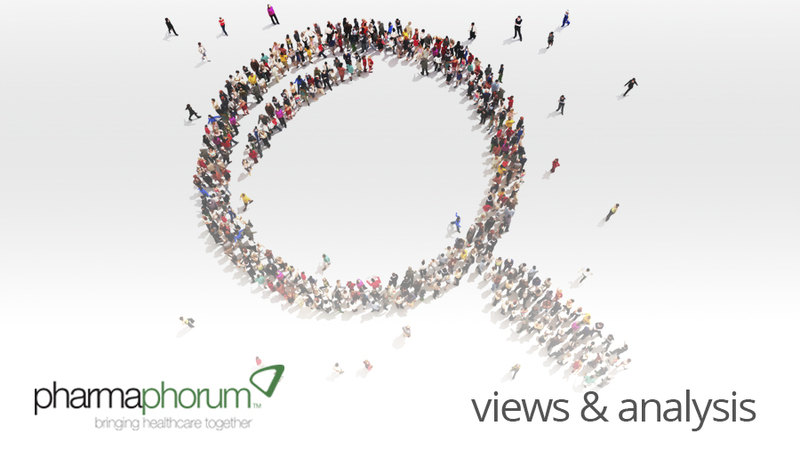 Have your say: How do you know that your clinical trial population represents the general population of patients?